You are here: News / Year 2 of the Esmee Fairbairn (EF) funding. 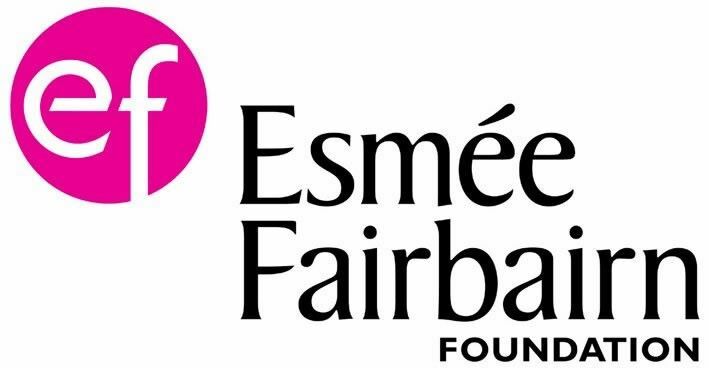 Year 2 of the Esmee Fairbairn (EF) funding. POP+ is currently planning its approach to Year 2 of the Esmee Fairbairn (EF) funding. Year 1 was a great start: we funded more than twenty different projects across the city ensuring that people of all ages and from all areas benefit from the EF money. Through managing the funding process and working with many different individuals and groups, POP+ has learnt a great deal and continues to learn as we reflect on this first year. For example, we learnt that inviting a range of people to work together to decide which projects to fund was really rewarding and resulted in some interesting conversations enabling real learning and good decisions making. We will continue to work this way, with a diverse group of individuals ensuring a rich conversation takes place about how we fund; what we fund and where we fund. We also learnt that our approach last year was a little too much like a small grants fund and not really what we or EF had intended. Reflecting on this we can see that it is unlikely to result in the significant changes we want for the city: a better, fairer Plymouth that is resilient and sustainable for both people and planet. Year 2 will be different. In the last few months we have spent some considerable time working as a group, talking about and defining our purpose; our values and our actions for Year 2 of the Esmee Fairbairn awards. We have concluded that relationships, trust, collaboration, taking risks and learning are central to what we want to promote. Of the £1.3 million we were given by EF we now have approximately £1 million left to be spent over the next 4 years (not necessarily the same amount each year). Some of this will be spent ensuring POP+ can continue to provide the support and services that underpin the whole process with the bulk of the funding being awarded to fund activities and projects. This year we have experienced a significant reduction from another funding source so we will need to use up to £70k extra from the total pot. This is to ensure we can continue to provide POP ideas and network support. We are continuing to work on the detail of the process, but what we already know is we will be asking people to take their proposals to one or more of the established POP networks and to seek to work with others who share the same aims and/or values. We believe that collaboration can bring about greater, and longer-lasting, change that is also 'transformational'. Whether or not this leads to transforming local neighbourhoods or to a change on a greater scale, such as via a citywide programme we think that participation and collaboration is likely to produce more fruit. It is also important to remember that one of the ground rules of the EF funding is to inspire and innovate: to get new ideas, new projects and new relationships off the ground rather than to maintain existing projects. It is a real privilege for each of us to be part of this change. It’s exciting, interesting, inspiring and rewarding but there's also a responsibility that comes with it and, because we are all new to this, it can be a bit daunting. Here at POP+ we're learning how to manage a funding process while, at the same time, doing it based on our values, which makes it distinctly different to many more 'conventional' and familiar funding processes. We know POP+ can't do this on our own, nor do we want to. POP+ strongly believes that positive, transformational change will come though trust and relationships; collaboration and inclusion; through taking risks; through innovation and from learning through action. We regard the feedback from others to be paramount to our ability to learn and from that our ability to evolve. We need your involvement. Please look at our POP+ website and tell us what you think. Tell us what questions we need to be asking; tell us what you want us to hear. And please be part of the change.